CONNECT - join the Community of Communities Network. The cornerstone of NEXUS4change is the Community of Communities Network, bringing together the practitioners, leaders, scholars, educators, students, and activist committed to advancing collaborative change and innovation. Over the past 10 years we have connected established collaborative change communities into into a larger network - so that we can do more together. We have also introduced the field and the collection of methods with their respective communities to new partners and audiences - identifying resources and the best approaches available. To date, over 8,000 members and participants who have engaged with NEXUS4change. Our goal is to champion all approaches and communities of practice - establishing a legitimate field - to leverage and synergize the great work being done around the world - to celebrate and showcase best practices - to help organizations and communities find support and help from experts around the world. We are creating awareness of the Collaborative Change field - we are doing this through hosting NEXUS Conferences, trainings and webinars with the experts and founders - and we are building on the community of communities platform to: CONNECT, EXPLORE, LEARN, & TRANSFORM. There is a collective request for a more permanent solution to content development and curation in the field of Collaborative Change­ including training, support, and a larger community of practice. NEXUS4change was founded to meet this community of communities need. 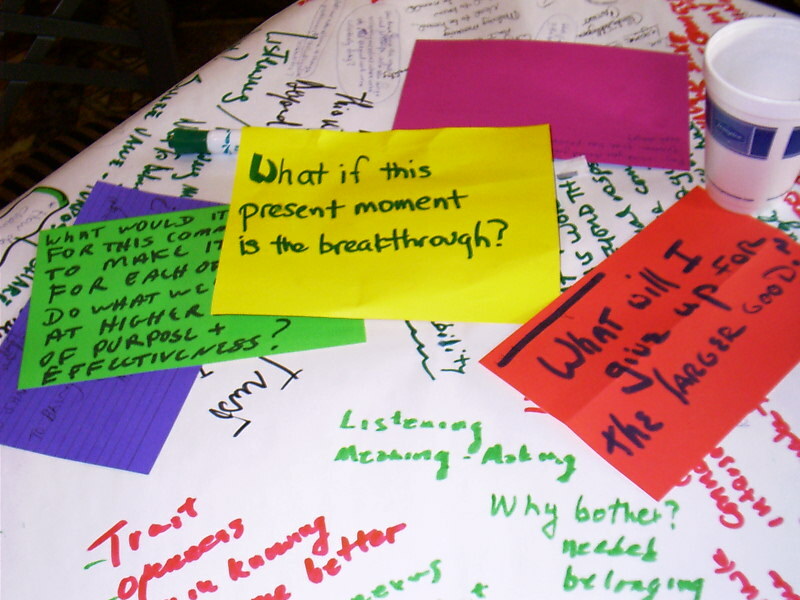 That is, there are a variety of collaborative methods (e.g., Future Search, Appreciative Inquiry, Open Space Technology, and World Cafe) that have well established communities of practice. NEXUS4change wants to connect these communities and their collective capabilities. To CONNECT into this unique, rich NEXUS4change, please consider signing up for our mailing list and becoming a NEXUS member. Join one of our Regional Exchanges or one of our International Conferences.